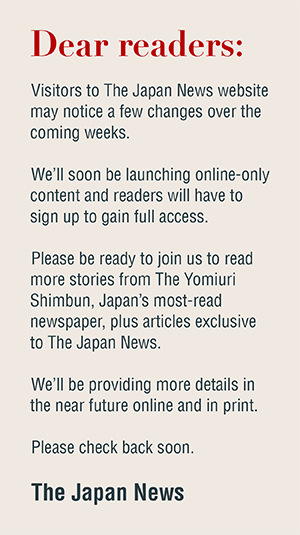 The Yomiuri Shimbun I’m Colin Gamm, a third-year ALT in Ena, Gifu Prefecture. I teach at five elementary and junior high schools. I’m from Portland, Ore., in the United States, but have also lived in China and Nepal. Japan has brought many surprises, but has taken me in. When in a new place, I do my best to avoid saying no. Each invitation is a chance to meet people and learn new things. So when my boss invited me to participate in a town kabuki performance, I said yes before asking what kabuki was. After my first meeting, I learned I had signed up for a role that included traditional cross-dressing and a five-minute monologue in a language in which I was still comically incapable. I wasn’t bothered by the cross-dressing. I’ve always found traditional Japanese women’s clothing, with its colorful but tasteful patterns, much more interesting than the relatively simple male yukatas and kimonos. So while my partners on the stage were nearly all barrel-chested, highly successful older men — including the city mayor — I felt no shame in doing my best to become a lady. Colin Gamm recites his kabuki monologue. Colin Gamm and cast mates put in many hours rehearsing for their kabuki performance. The language aspect was more frightening, but also motivational. I practiced my speech every day with the sole aim of not dying a little bit inside were I to hear a recording in the future. Thankfully, my lines were easy. Upon arrival I started a journal in which I recorded all the things that surprised me. Thanks to my ever-intriguing students and my rural placement here, it filled quickly. 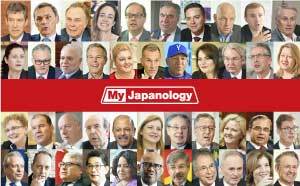 My town is not of the Japan that most foreigners (my prior self included) envision. One of my two junior high schools has 11 students and a graduating class of two. Here, students’ favorite things include frogs, corn and catching worms, and the greatest public safety concerns are not crime but bears, boars and large hornets known as sparrow-bees. It seems I was well suited to be a woman. When I tell Japanese people I joined kabuki as a machimusume, or town girl, they reply with uncanny consistency: “Oh, of course! It suits you.” I have to give them credit for a perfectly double-edged compliment, to which I can only reply with a suspicious squint as I work out to what extent they’re teasing me. When the day finally came, my fear-driven practice paid off. I walked delicately, tilted my head flirtatiously, and concentrated on not wiping my nose, having just caught a cold. The aftermath was a learning experience as well. Some of my students, who had seen my performance rebroadcast on local TV, jokingly quoted lines to me in the hallway. I was a little embarrassed, but also thankful. There’s no quicker way to overcome cultural barriers and connect with people than to embrace a little bit of personal indignity.